The one in the the interception of Rötelstrasse, Schindlerstrasse and Schaffhauserstrasse. 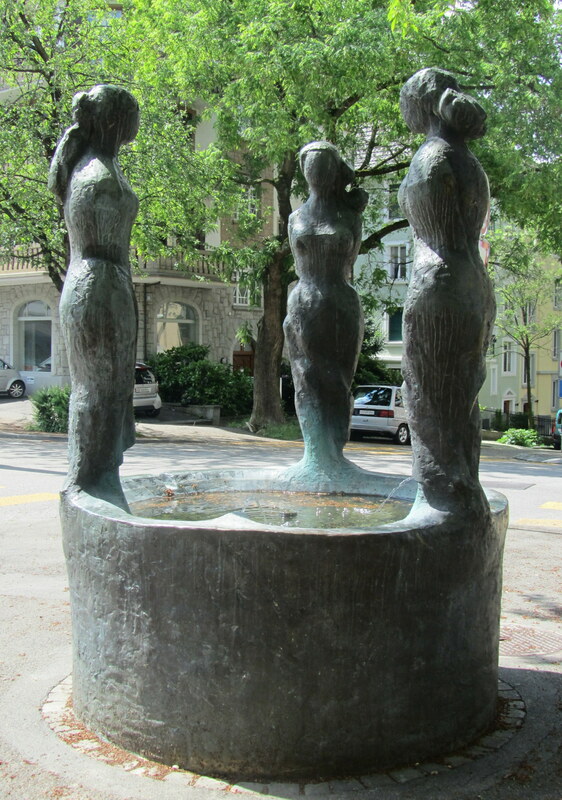 As usual in Zurich, behind this fountain you find some construction work. Quite unusually for a residential neighborhood, though, there is also a café open on Sundays.